Happy November! 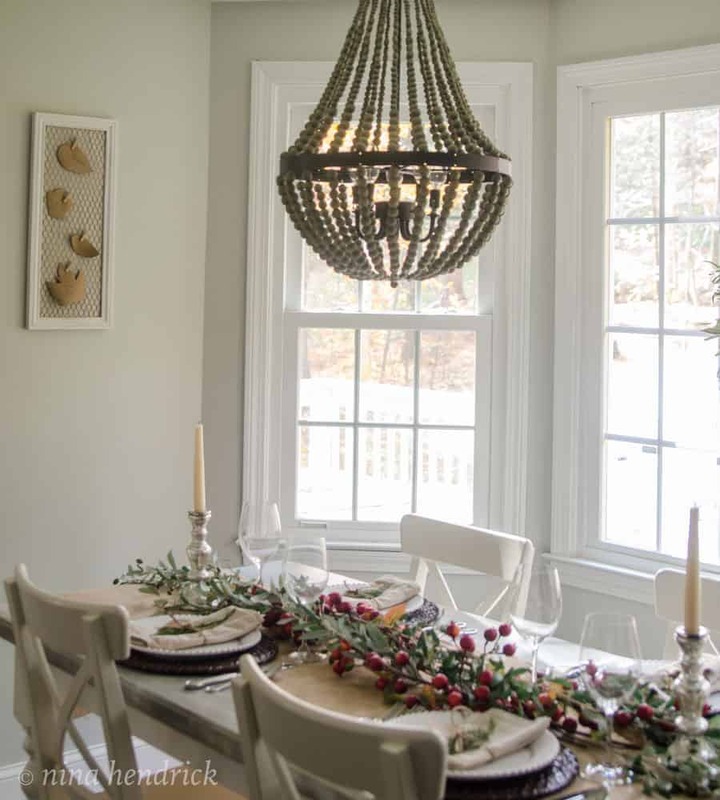 As the air gets crisp and cool, I’m so excited to begin bringing you my favorite holiday inspiration. 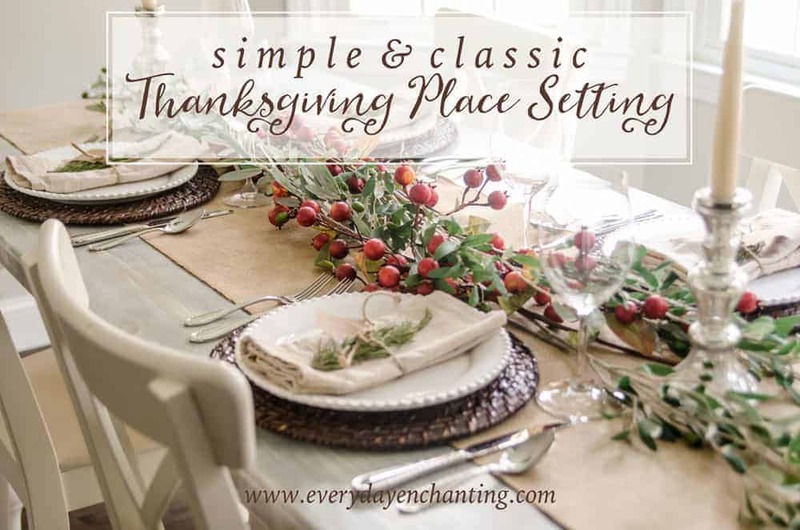 Today kicks off the holiday season with our Elements of Thanksgiving blog hop. 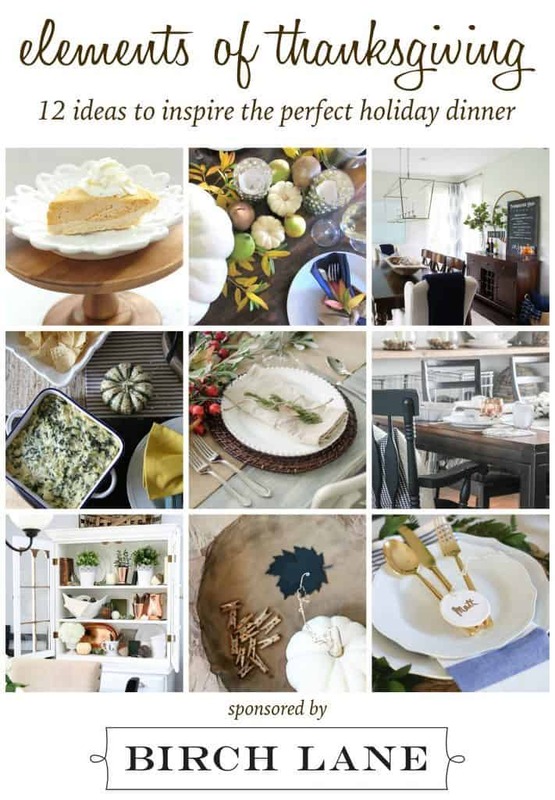 I’m teaming up with 11 of my friends to bring you our favorite ideas to create a beautiful holiday. Make sure to stop by their posts at the bottom of the page! 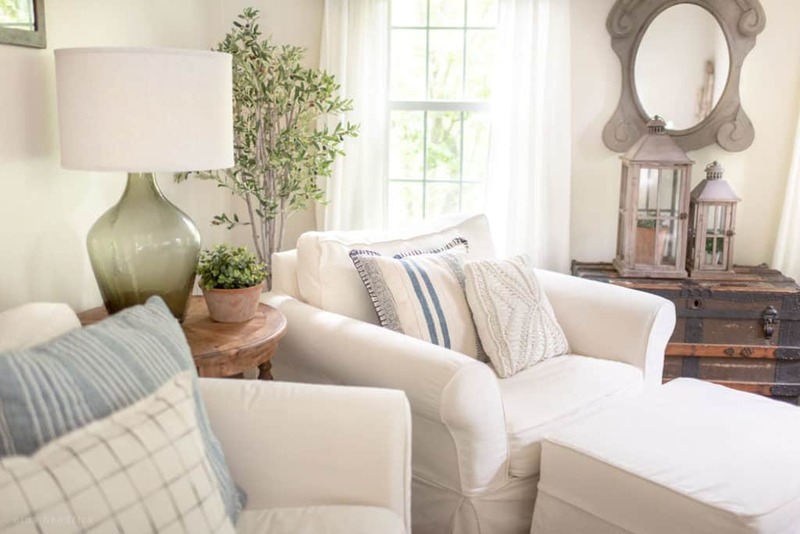 Birch Lane provided me with the lovely items mentioned in this post. All opinions are my own, you can see my policies here. I’ve been poring over the results of the reader survey (thank you so much to so many of you who responded!) and one thing stands out loud and clear- you want quick and easy ideas. I will get more into the results of the survey in another post, but I’m happy to share that my project for today is very simple and quick but still beautiful. 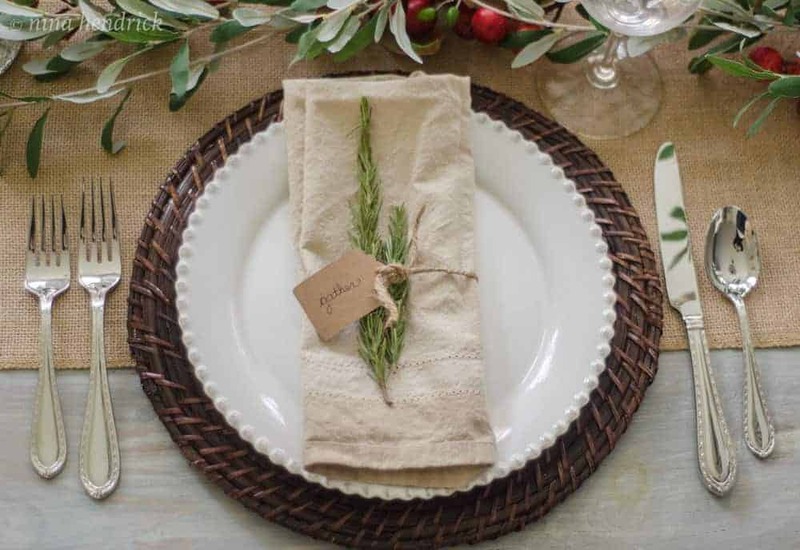 I would say that a place setting is a very essential element of any holiday dinner. 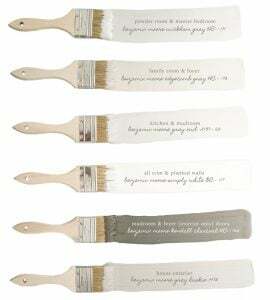 This is a great way to add some character to your table in a very functional way. To start, I laid down the burlap runner, which was just cut from a simple roll from the craft store. 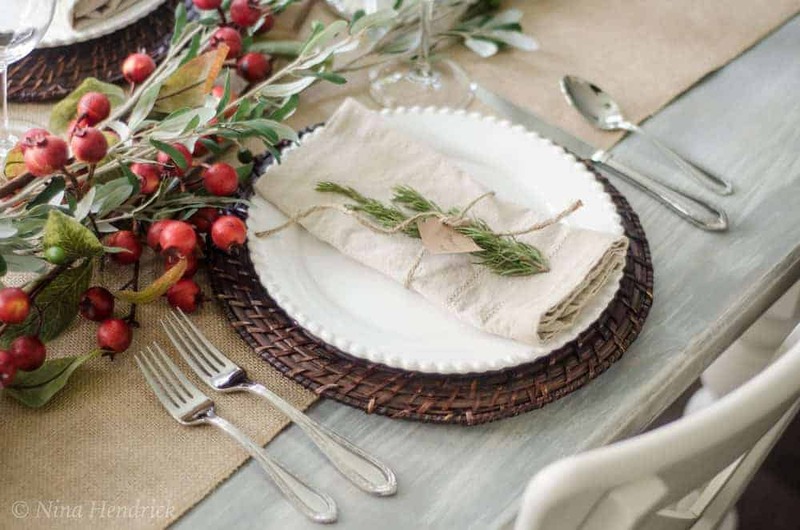 Then I began the place settings with the gorgeous dark-stained rattan chargers. This sounds weird, but I chose them because I love the way they match my floor. Yes, these are things that I think of… It just provides a sense of cohesion that I think is beautiful to look at. I tend toward lighter colors, and they provide a nice contrast on the table. Next I layered on the dreamy white plates with a beaded edge. 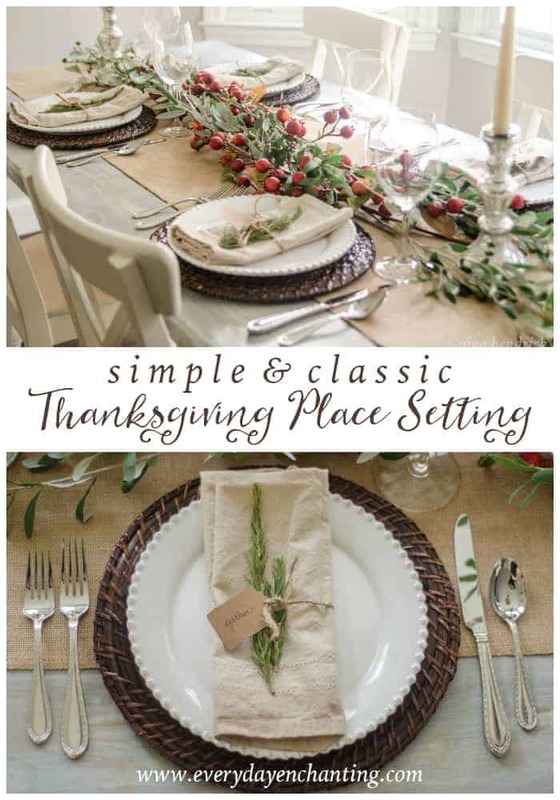 White plates are so classic and easy to style- they are the perfect foundation for any holiday. I know these are going to be a perennial staple in my entertaining. 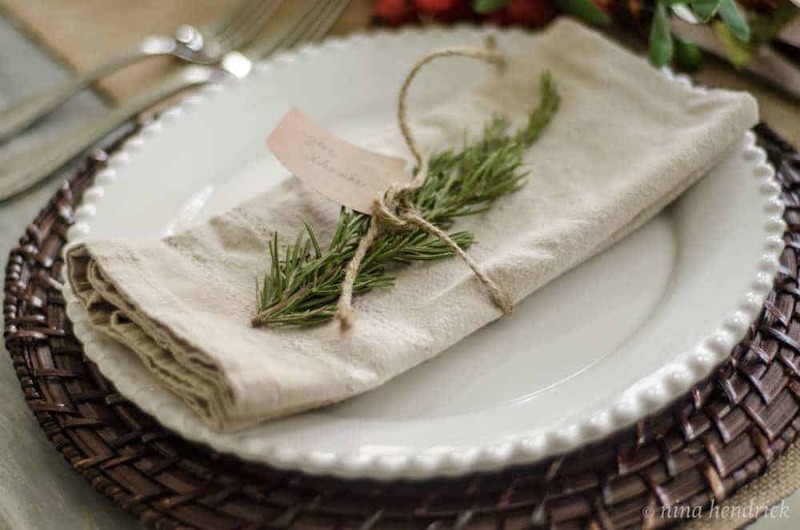 After I got the basics down I folded the simple linen hemstitch napkins and tied a piece of twine lightly around them. I punched tags from craft paper, wrote an inspirational word on each, and looped the twine through. It still needed a little something, so I tucked a piece of rosemary in each. I love the natural color and texture it adds. This is really a versatile concept, for Christmas you could tuck in a tiny bunch of red berries along with the rosemary for a festive touch. To finish off the place setting, I arranged our wedding flatware in a casual manner. I always have to google this, because I can not remember for the life of me how it goes. Also, I couldn’t help but think of Mr.Carson and the footmen from Downton Abbey with their rulers. Some simple glasses finished off each place. To create a centerpiece in minutes I arranged branches down the middle to form a swag. Then I finished off the table with my classic mercury candlesticks. The final effect can transition really well to Christmas, which I think is perfect. To me Thanksgiving really kicks off the countdown to Christmas, and you get in the spirit of the season that much more quickly. Thank you for setting up the tour! Where did you find those beautiful berry branches? Hi Rebekah! The Olive Branches are from Decor Steals and the Crabapples were from Joann Fabrics!